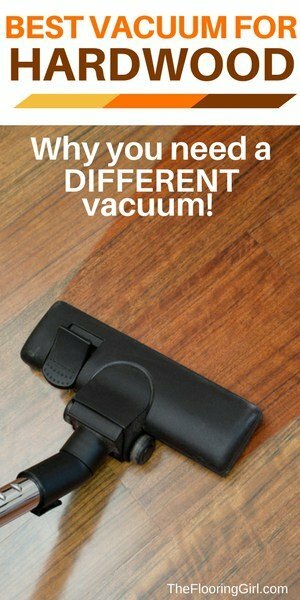 Choosing the best vacuum for your hardwood flooring. And, can you even use a vacuum on wood floors? Please note that this article may include affiliate links. You can read my full disclosure at the bottom of the page. 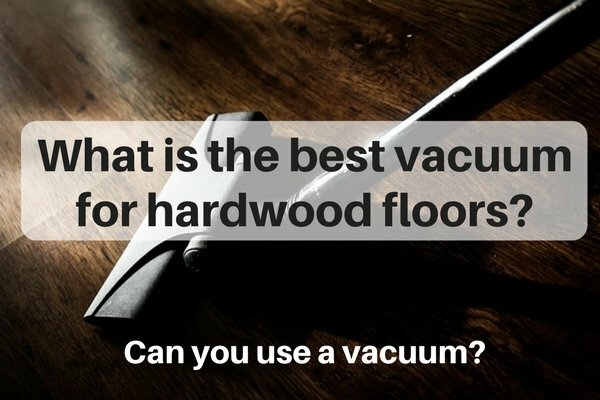 I get this question all the time: “What is the best vacuum for hardwood floors?” I also have people ask whether they can use a vacuum cleaner on hardwood flooring. So I thought I would provide guidelines for selecting the best vacuum for wood flooring as well as some specific recommendations. This specific vacuum is the most popular with our readers. It’s an excellent vacuum specifically designed for hardwood. It’s light weight and easy to use, and you’ll also find that it’s also one of the most affordable hardwood vacuums you’ll find online. If you can get it for under $150, grab it. That’s one heck of a deal on a GOOD hardwood flooring vacuum! (check current price). Hardwood flooring is the preferred flooring choice as it adds beauty and elegance to your home. Wood flooring is stylish and long lasting. And, hardwood floors can add value to your home. Maintaining your hardwood floors is important, and one of the most important aspects is keep your floors clean (dirt and debris can scratch and wear down your hardwood floors). Vacuuming can definitely help in this pursuit, but you do want to be careful about the vacuum cleaner you pick. Believe it or not, some vacuums can actually damage your hardwood floors. But, with the right vacuum, you’ll be able to properly care and maintain your floors for years to come. You’ll have a clean home and keep the luster of your new hardwood flooring. When you have the right tools at hand, cleaning hardwood floors becomes a breeze. First, most traditional vacuums have roller brushes with thick bristles and these can leave scratches on your hardwood floors. In addition, the beater brush can also scatter dirt and debris, making it even more difficult to clean. Vacuums designed for carpets tend to have plastic wheels, and these can easily scratch up wood surfaces. (see my article on how to prevent scratches in hardwood floors…you’ll see that wheels can be one of the worst things for hardwood floors). Additional these vacuum wheels also lack the padding needed to further prevent damage. By the way, choosing the best vacuum cleaner does not mean choosing the most expensive one. In fact, you’ll see from the recommendations in this article that most of the best vacuums designed for hardwood floors are very reasonably priced. And, beware that many review sites such as consumer reports, don’t separate out vacuums for hardwood floors. These principles should help guide you to find the best hardwood flooring vacuum for your home. Avoid rolling brushes – Rolling brushes are designed to lift dirt, hair, and debris that hide inside carpets. For hardwoods, this isn’t an issue. And, the brush will actually do more harm than good as they will scratch the wood. If you can’t find a vacuum without a rolling brush, then choose one that allows you to switch off the brush to prevent it from spinning. Padding and rubber wheels – Rubber wheels and extra rubber padding will help prevent scratches, digs and other damages. Also, as a general rule, check the wheels before you start vacuuming to remove any extra dirt. Compact and lightweight – Lightweight models are easy to carry around and easily glide across the floor for effortless cleaning. The less pressure you apply to floor, the better. Your back will also thank you for this. Good suction power – Superior suction quality and power are a must (and a feature you would look for anyway). This ensures that no dust, dirt or debris is left behind. There’s debate whether upright or canister vacuums are better when it comes to hardwood flooring. They each have pros and cons, so it does depend on your preference. If I had to choose between the two, I’d go with canister as they are generally lighter and easier to maneuver without scratching the floor. In addition, if you have a two story home, canisters are usually easier to carry up the steps and vacuum the steps. When it comes to getting the best value for your vacuum (i.e. balancing quality and price), I’d recommend the BISSELL Hard Floor Expert 1161. I’d encourage you to read the reviews on this product as well as the suggestions below. This vacuum is compact and lightweight and compact, so it’s easy to maneuver and easy to store. It’s specially made for hardwood floors with rubber wheels and felt treads. It has powerful suctions, yet delicately cleans to protect your floors. What about robotic vacuum cleaners? Most people don’t enjoy vacuuming, and that’s why the idea of a robotic vacuum cleaner is appealing. Robotic vacuums save time and energy, and it’s no wonder that they are growing in popularity. When it comes to robotic vs regular vacuums, the automatic vacuums are not as powerful as the standard types. Instead, they are designed to be used much more often. As a result, they can keep your home very clean with minimal effort on your part. (Note: these are usually used in conjunction with a standard vacuum, and the combo seems to work very well). Please note that robotic vacuums are not the best choice for carpets. The most well-known robot vacuum brands currently in this industry are iRobot (which includes the Roomba and Neato Robotics. Note: several name brand names are starting to enter this segment with cheaper options, but they don’t seem to work as well (and may be more likely to scratch your floors). When it comes to getting the best robot vacuum for the money, iRobot is still the number one choice, both in terms of quality and customer satisfaction. Here are some great choices. Consumer Reports #1 choice for a hardwood vacuum cleaner is the Miele Complete C3 Marin Canister Vacuum. Now I have to tell you that this is really a phenomenal vacuum cleaner. It’s top of the line. As it’s the best of the best, you can see that in the price. This vacuum is automatic variable speed and as you can read in the reviews, buyer love love love this product. (read reviews here). Laminate flooring cleaning and maintenance is very similar to hardwood floors as it is made with hardwood flooring shavings and leftovers. The mistake that many make with laminate floors is that they mistakenly believe that it’s waterproof, and it isn’t (see: Is laminate flooring waterproof?). So, do NOT make the mistake of buying or using a steam vacuum or mop. It will ruin and weaken your laminate floors. It’s not a matter of whether…but rather when it will ruin you floors (and cause them to prematurely delaminate. Hardwood flooring vacuums are the best choices for laminate flooring as well. My first choice would still be the BISSELL Hard Floor Expert 1161. It’s great for BOTH hardwood flooring and laminate. If you’re looking for a less expensive and upright alternative, then I’d suggest this Bissell vacuum. This vacuum is lightweight and also great for pet hair. It also happens to be “Amazon’s Choice.” (Click here to check current price and see a video of this product). Sometimes, you really need a handheld dust-buster sort of vacuum. These come in super handy for hard to reach spots such as corners or areas around the edges of tables or furniture. They are also useful for small messes. I love the Black + Decker CHV1410L Cordless Lithium Hand Vac.This is one of the most compact and affordable vacuums available. It’s powered by a long life lithium battery and designed to use 50% less energy. It has a rotating nozzle for added flexibility. The filter is removable and washable. This handheld vacuum also happens to be the #1 best seller on Amazon and has well over 13,000 reviews! So it’s a great choice and thoroughly tested. 1. How often should I vacuum my hardwood floors? Generally you should vacuum twice a week in high traffic areas and once a week in moderate to light traffic areas. 2. How many vacuum strokes should I do? For a thorough clean, 6-7 vacuum strokes is idea for heavy traffic areas (e.g. entryway, family room, kitchen, etc.). For lower traffic areas, 3-4 strokes should suffice. 3. What is a HEPA vacuum? HEPA stands for High-Efficiency Particulate Air, and these vacuums differ from conventional vacuums in that they contain filters that are can trap extremely small, micron-sized particles. It traps bacteria, pollen, dust and other allergens. 4. Should you use a steam vacuum or steam mop on hardwood floors? No. I would never recommend using a steam vacuum on hardwood floors. The moisture (as well as the heat) can damage the hardwood floors and finish. These can also result in boards separating. And, you should know that if you use one, it will invalidate the warranty on most hardwood floors. 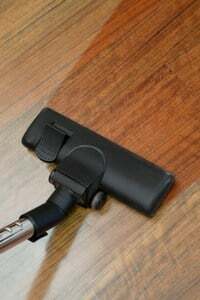 You are much safer with a microfiber mop and vacuum specifically designed for hardwood. So there you have it. My top recommendations on vacuums for hardwood flooring. Choosing the right hardwood flooring vacuum can make a big difference on keeping your floors clean and helping the last longer. Excellent. I also appreciate your personal recommendations. Santiago – So glad to hear that. Thanks for putting this together! Would you recommend a different vacuum if I had a few different types of flooring in the house? Your recommendation seems good for hardwood, but I also have tile and carpeting. Aaron – I’d recommend one for carpet and one for hardwood/other hard surfaces. The hardwood one can work for tile, vinyl, laminate. I really appreciate your website and all your advice. Do you happen to know anyone who does screening in Austin, Texas? Many thanks. Actually, I happen to know a great flooring place in Austin. Call Robert Peoples at People’s Signature Flooring (512) 345-4545. I don’t know for sure if they do screening, but I know you are in excellent hands with him. And, if he can’t do it, he would probably know someone who could. Tell him Debbie, The Flooring Girl (from NY) sent you his way. What about using central vacuum systems on hardwood floors. Just pick a head without wheels? Susan- Right, it’s the wheels that do the damage (as well as a beater bar, if there is one). Question: What about using Swiffer Wetjet Spray Mop Floor Cleaner for (a) Laminate and (b) Hardwood? Bharat – You could use that (obviously not as a vacuum substitute). But, the problem with any of the wet jets is that many over spray, so you need to be super careful.